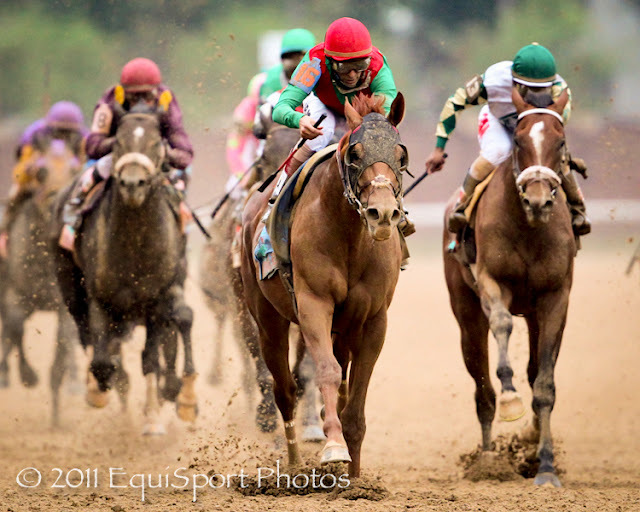 Turf & Dirt - On Horse Racing: Go Animal! 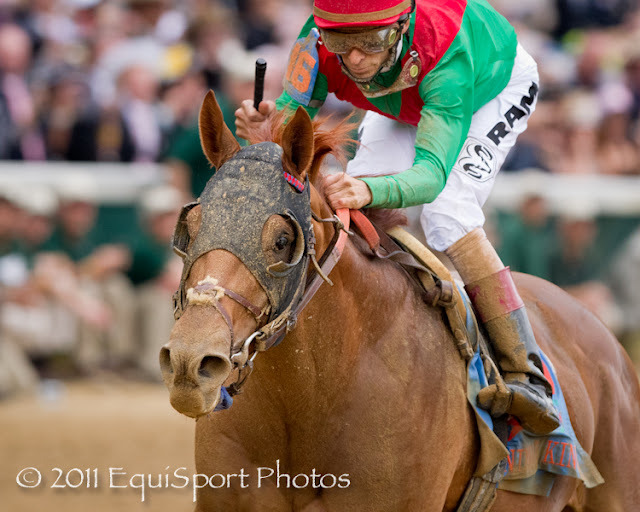 ANIMAL KINGDOM, 20-1 winner of the Derby, came out in good order, and is now the likely favorite for the Preakness. The Leroidesanimaux colt is feeling quite at home in his new Fair Hill surroundings, and will likely ship into Pimlico the morning of the race. The Kentucky Oaks was won by PLUM PRETTY. 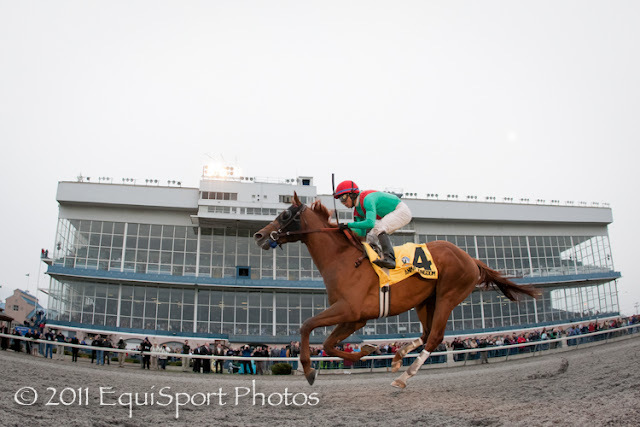 Overlooked in most early Derby lists, Animal Kingdom took a less traveled path to the Derby. He had only 4 career starts and his last race was 6 weeks prior, a winning effort in the Vinery Spiral Stakes. Animal Kingdom spent the days before the Derby training on the polytrack at Keeneland. Next stop, The Preakness Stakes! Go Animal! 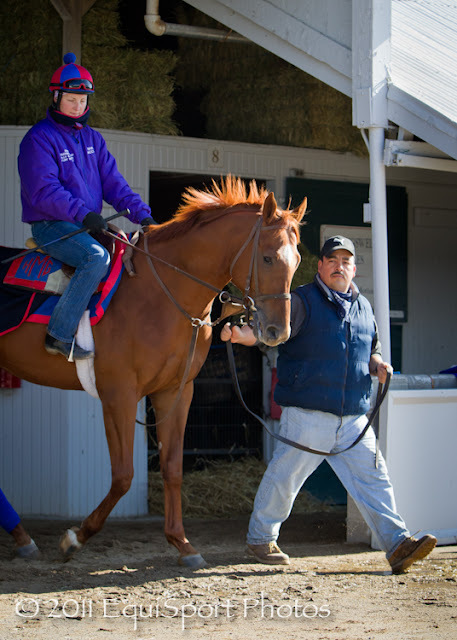 Another blog I follow, Classic Champion Thoroughbreds, has been touting Animal Kingdom for MONTHS. I was like you, wondering what there was about this horse that did not put him on the other "Derby listers' radar." The more I watch him, the more I LIKE him. Gary Stevens even said as much after the Derby: "This colt is going to LOVE Pimlico." Fingers crossed, indeed. 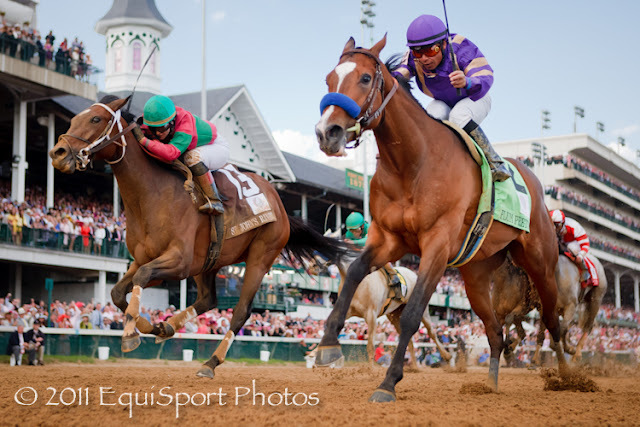 We NEED a Triple Crown winner, and Animal Kingdom may be just what the racing game needed.